Nesting for the arrival of the newest member of your family but waiting for a delivery room surprise? 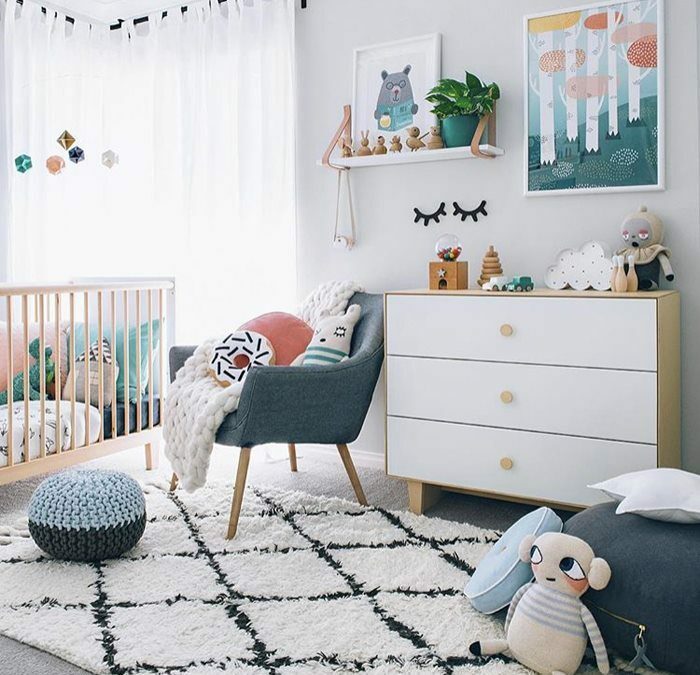 Whether you are preparing for the baby or simply looking for style inspirations and small apartment ideas for your would-be revamped nursery, going the gender neutral route is a bold departure from outdated “pink for girls, blue for boys” color schemes. Gender neutral themes are perfect for a boy or a girl because the color schemes aren’t associated with a specific gender. 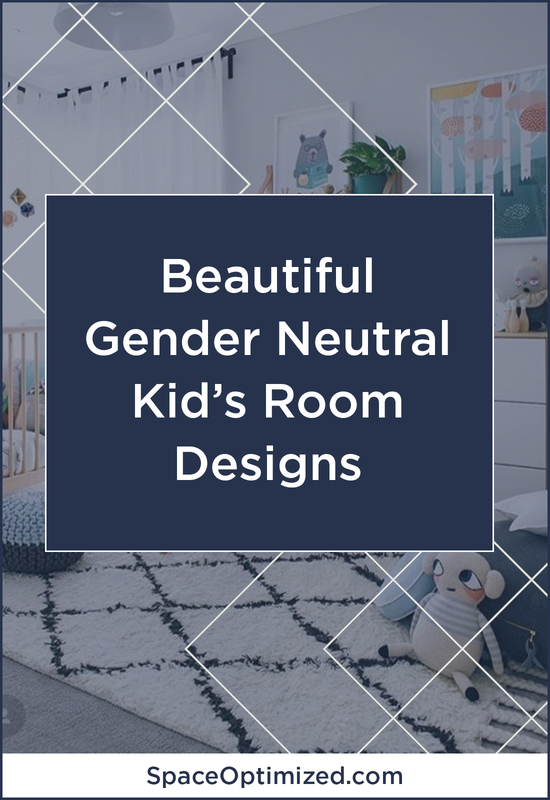 Going for gender neutral colors is also great for parents who dislike traditional color schemes and would like to try something new for the nursery! With a little creativity and clever use of decors, you can create a dreamy nursery that you and your little one will adore for years to come! Want to add a little Scandinavian style into the nursery? You can’t go wrong with the classic white and gray, it’s a timeless color scheme that goes with everything! White makes a terrific base color and it looks extra stylish when paired with soft gray. 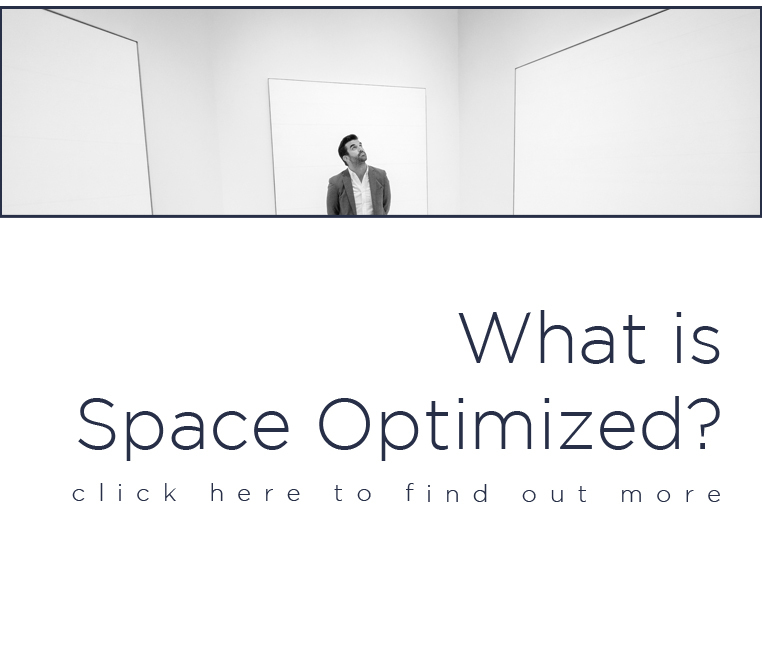 The gray tone takes the starkness of white interiors away. Incorporating texturized details adds a playfulness to the nursery! 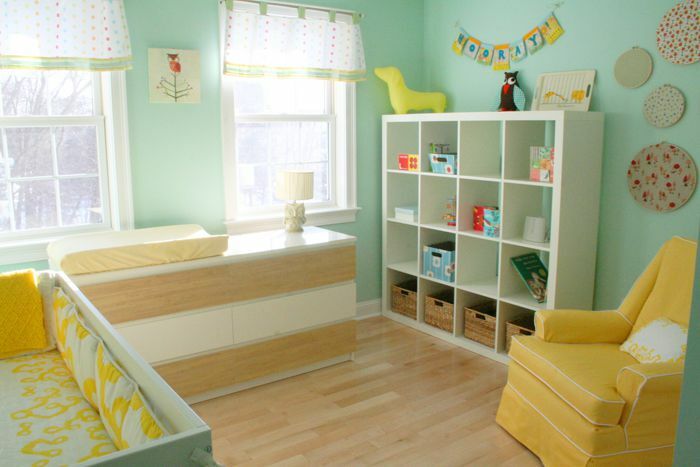 Aqua and yellow are both bright, cheery colors and when combined, they make a lovely nursery theme. The sunny yellow accents complement the calming green-blue walls! This color combination is quite versatile too. It works for beach, tropical, or mermaid-themed decors. For a whimsical yet modern nursery that matches your own quirky taste, try this unique color scheme! A pop of green and peach stands out in the most adorable way against a neutral backdrop. 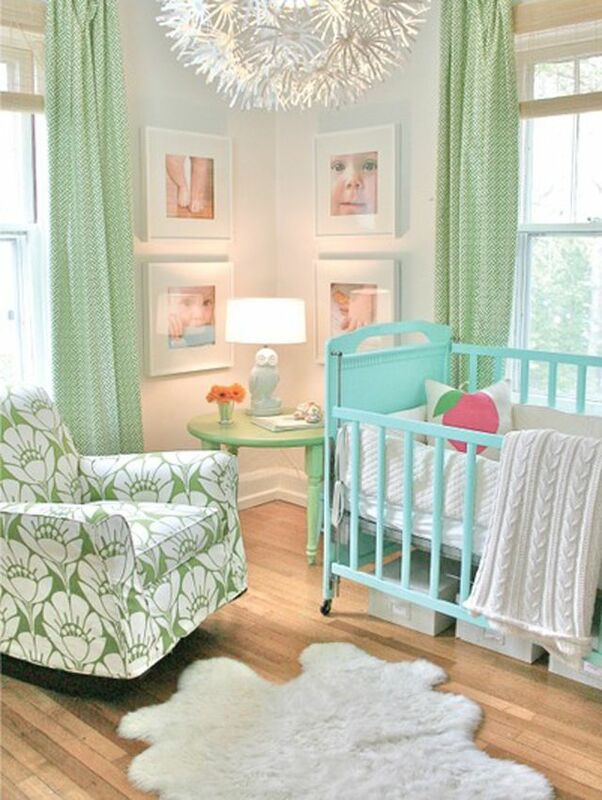 Green is a soothing color and when used in a toned down, muted shade, it adds a touch of calm to your baby’s bedroom! The peach lends softness to the room. Together, peach and green decors elevated the look of the neutral-toned nursery pictured above. The combination is just dreamy and magical, don’t you agree? Yet another versatile color combination that will work for a nautical or beach-themed nursery, mint and teal adds freshness and youthful exuberance to a room. Teal is a bright, festive shade while mint green is a soothing color that invigorates the senses. Paired with neutrals, these gorgeous shades make a unique nursery. Don’t be afraid to play with different textures and patterns to liven up this color scheme! 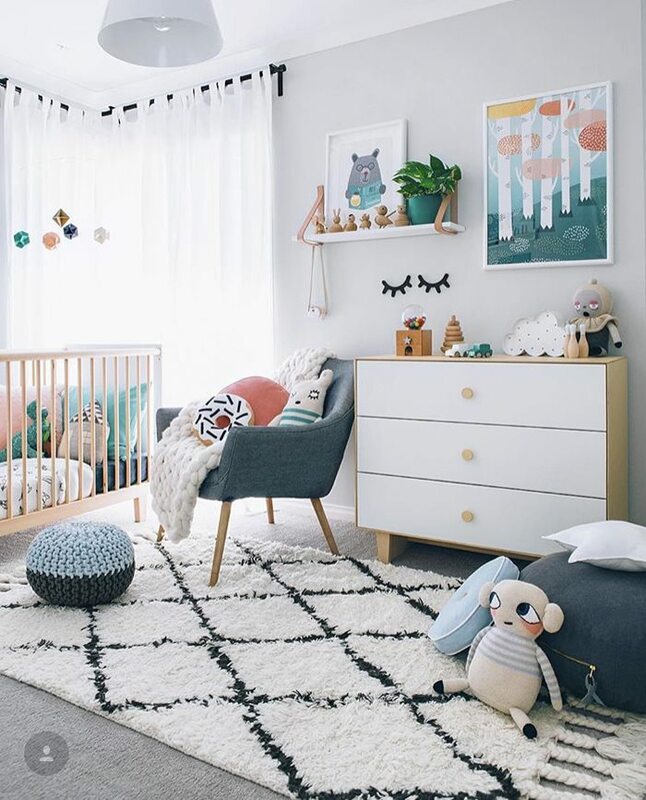 If you’d like a cool-toned nursery that’s both whimsical and modern, go for the mint green and gray color combination. Mint green is a relaxing shade. It’s the kind of color that’ll lull one to sleep. Shades of gray – courtesy of the decors and room accents – brings a touch of elegance to your baby’s sleeping quarters. The softness of mint and gray in one color scheme makes for a peaceful space to tuck your little dreamer in. 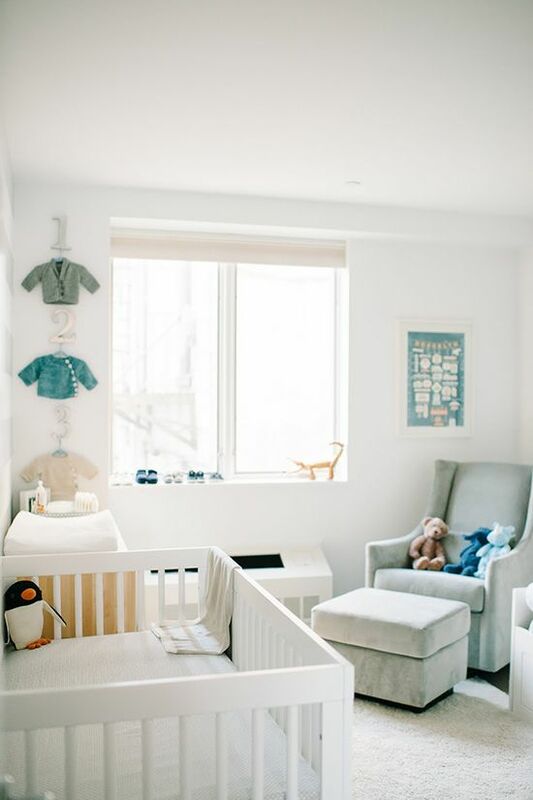 There is no need to avoid pastel shades when styling a gender-neutral nursery. Gray and mint make a heavenly color combination, it gives a room a contemporary appeal. Mint adds a soothing, energizing vibe to the space while white makes a lovely contrast to this trendy shade. The cheerfulness of this color combination is sure to match your baby’s happy disposition. Quite an unusual color combination but the overall look of the room is polished, sophisticated. Coral makes a gorgeous accent color, especially when paired with grays and neutrals. As you can see, the dreamy white and and grays are the perfect backdrop for the joyous coral. It makes the accent shade pop! This sophisticated color combination makes for a warm, inviting nursery that will suit little boys and girls. If you choose a pale palette for the nursery, adding patterns to the walls and/or ceilings will help balance out the color scheme. You can do that with removable wallpaper or stick-on murals to deck out the nursery! These are stick-on wall decors that you can use again and again. 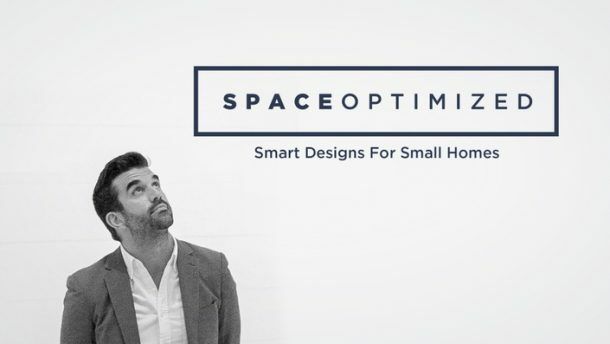 They’re easy to install and are available in amazing designs to choose from! 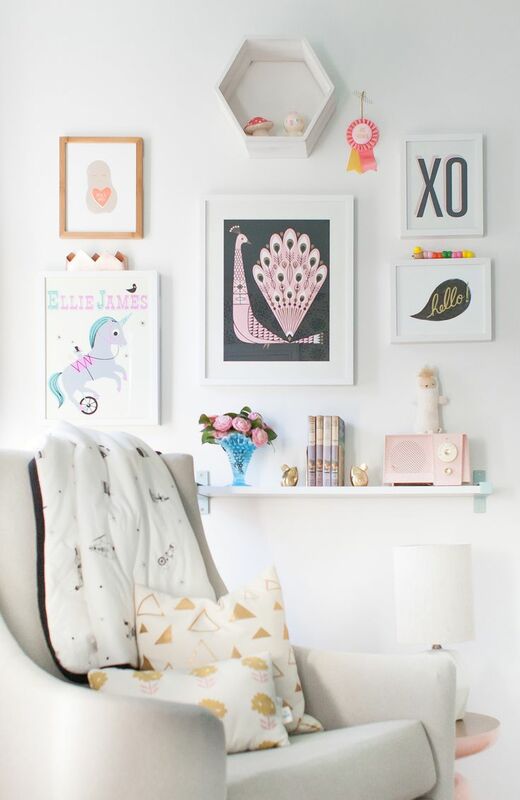 A gallery wall is a terrific way to showcase your growing family. Using pretty picture frames and your favorite family photos, dress the bare walls with a photo gallery to create a unique focal point in the nursery. You can also combine framed pictures with art pieces or fairy lights for an eclectic mix of eye candies. 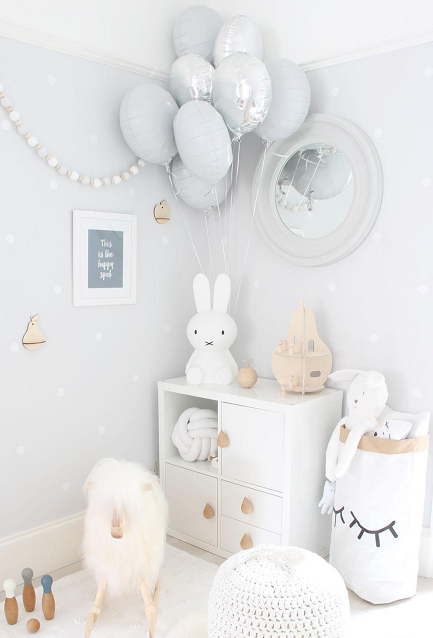 Metallic touches to the nursery add a hint of sparkle during daytime and a lovely glow at night! 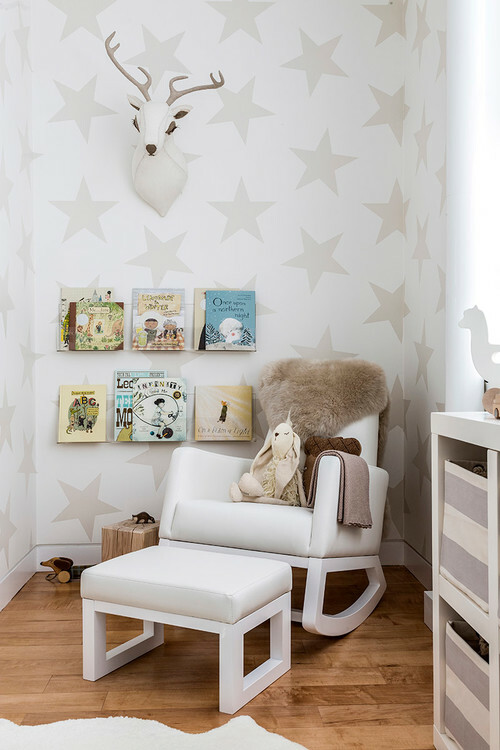 Add metallic touches to the nursery using shimmery decals, foil-print artworks, and metallic wallpaper! 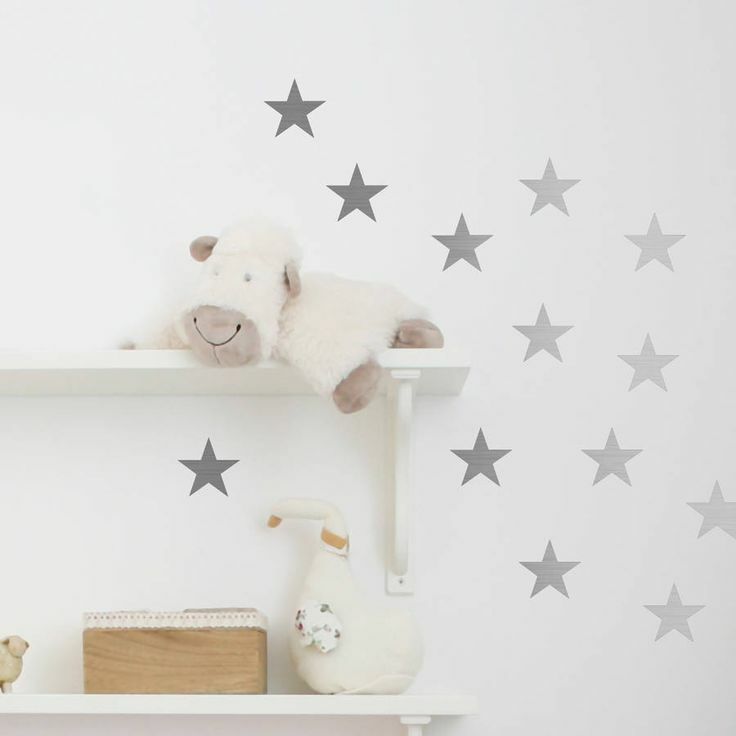 You can also stick metallic stickers all over the ceiling to mimic the night sky full of stars! These shiny wall decors come in an array of designs to choose from so go ahead and experiment with different styles if you’re going for a specific theme.